Have a look at latest responsive WordPress timeline themes 2017. These timeline themes are having rich functionalities along with elegant designs. 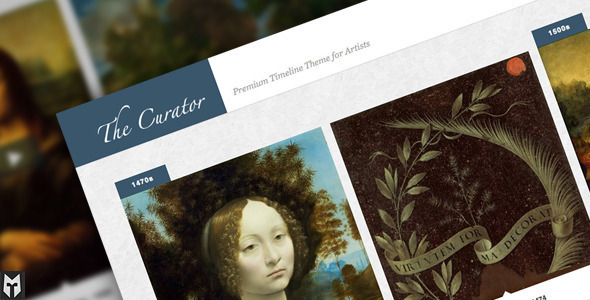 Decorate your WordPress sites with these free and premium timeline WordPress themes. This free timeline WordPress theme is best suitable for portfolio and blog sites. This unique timeline supports 6 post formats and powerful features like unique timeline layout, customize panel, translation files ready, various post format and many more. Newsletter subscription, social network icons and many useful links are given in the footer area. This responsive theme is especially designed for blog, magazine or personal page WordPress websites. Webmaster can easily create rich media post formats for sharing videos, photos, images and music. Theme looks fantastic on any screen resolutions due to embedded responsive feature. Theme is compatible with SEO plugins such as All in one SEO & Yoast SEO. Audio post format support, quote post format support, status post format support, custom widgets, SEO optimized, child theme included, image post format support, video post format support, WordPress 3.5+, retina ready font icons, responsive design and many more are the feature of this timeline WordPress theme. 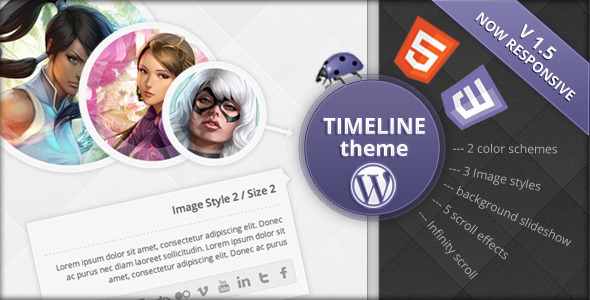 Timeliner is a premium responsive timeline blogging WP theme which is best suitable for any type of website. Theme is packed with lot of features like 8 post formats, unlimited colors, posts social share, user avatars, 600+ Google fonts, ready for multiple authors, views counter, ready for multiple authors, likes counter, views counter, custom widgets, widget ready, responsive, mail chimp integration, WPML ready, magnific popup gallery and many more cool features. JS, CSS and PHP files are included. Make use of this innovative and creative WordPress theme for creating travel related projects. This tiem travel theme offers lot of features like 3d time travel path, revolutionary images and Multilanguage support. Voice control, 19 color schemes, 14 voice commands, drag & drop page builder, facebook comments, disqus comments, facebook width 810px, native background video, lots of different post settings, select infinity scroll and pagination style are some of the features integrated in the theme. Js, CSS and PHP files are included. Share it is an elegant and progressive WordPress timeline theme. It can be used for personal resume, corporate history timeline, wedding, gaming, culinary, gaming, musician blog, photography, blog content and travel related blogs. Theme is packed with 300+ theme options and 30+ post options. Responsive feature is inbuilt in the theme so that the site can easily adapt to any platform device. Lets see some of the features of this timeline WordPress theme, they are 5 scrolling effects, drag and drop page builder, menu & footer positions, custom 404 page, typography options, responsive design, facebook comments, infinity scroll, pagination style, site width, unlimited color variations, 600+ google fonts, custom background, video embed options, welcome message, CSS3, Jquery powered effects and many more. TimeLine elegant WordPress responsive timeline Theme is a new WordPress theme designed and complimented with the timeline look to display your website or blog content or info in a modern way. Your website looks more like a Facebook timeline loaded with lot many features, effects and functions. TIMELINE elegant WordPress responsive timeline Theme is another innovative WordPress theme developed to suit any preference web projects to display work in chronological order. If you love the design layout of latest Facebook timeline then you will definitely fall for Travel elegant WordPress responsive timeline Theme one of the newest themes released with infinite scroll to showcase creative content, info, posts, photos and videos that are time-sensitive like that of travel or food photos! The full width box layout of this WordPress Facebook timeline theme is robust, cool, modern and flexible to display your works automatically to the screen resolution of any different device whether it is a large sized desktop display or on small and narrow mobile screen. The simplicity and spacious beauty of Facebook’s Timeline is instilled in the Curator elegant WordPress responsive timeline Theme that looks elegant, simple, stylish, hot , smart to use in an multipurpose website to show up your work in a spectacular way like never before on any latest mobile device released be it apple, Samsung, Android, Nokia and others. This mobile friendly, responsive theme with ultimate browser compatibility adapts to any screen resolution. SkyBox elegant WordPress responsive timeline Theme has the newest functionalities and features that no other have. Firstly, the theme is inspired from Facebook timeline giving your loads of space and infinite scrolling options to present your products/services in a unique yet trendy way. Secondly the theme is multipurpose i.e. is versatile to sue in any business projects be it portfolio or personal. This WordPress timeline theme is responsive, retina ready with rich styling elements, Revolution Slider, one-page video showcase, social timeline, and the list goes on……. 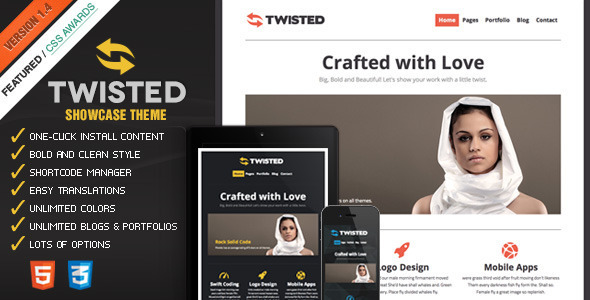 Twisted elegant WordPress responsive timeline Theme is an ultimate theme to showcase all you have in a bold, spectacular and striking way suing the spaciously designed theme layout inspired from Facebook’s Timeline to get loads of attention from users. This WordPress Timeline theme is tested to work on all different types of devices making your website work across different desktop and mobile device resolutions. 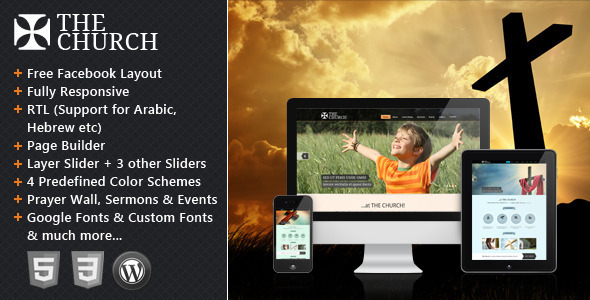 The Church elegant WordPress responsive timeline Theme is not just a Facebook inspired template but is high quality, multipurpose, mobile friendly, supports RTA, theme to serve any business domains to diplay events and their details in a more unique and inspiring way. The theme is spacious, fully functional, works on Apple’s iPad, Android Smartphones, Samsung and devices. This modern timeline responsive WordPress theme is perfect for creating a nice blog. It is packed with shortcodes. Some of the features of this timeline responsive WordPress theme are 600+ Google fonts, featured slider, ready for multiple authors, posts social share, sticky navigation, instagram ready, user avatars, self hosted video support, iamge gallery support, responsive, mailchimp integration, awesome support, chilf theme support, magnific popup gallery, demo content and manu more custom widgets. This theme is compatible with all type of browsers. Here is a simple responsive WordPress timeline theme which is used as a multipurpose theme. It is designed with tender typography and stylish appearance. Latest features like social media sharing, sticky menu, infinite scroll, instagram photos, custom styling, post formats, custom widgets, contact form 7, full width page template, tons of customizable color, infinite scroll, sticky navigation, translation ready and WordPress 3.0 drop down support. This multipurpose responsive WordPress theme is best for creating all portfolio, personal, video gallery or photo album projects. Grab the attention of visitors by creating an attractive WordPress site. This theme is compatible with all latest browsers. JS, CSS and PHP files are the files included. This is a simple, responsive, modern, clean and professional WordPress timeline theme. It is perfect choice for building personal blog. It is compatible with many devices. This timeline WordPress theme features bootstrap 3.3.7 framework, unlimited colors, main carousel slider widget, fully customizable design, rich snippets, search engine optimized, mobile friendly, drop down menu optimized, high quality image optimize and many more. Timeline WordPress theme is compatible with all latest browsers. This is a elegant, clean and simple WordPress timeline theme for constructing a perfect personal blog. It is highly customizable with user friendly theme options. Impress your site visitors by creating a website with this WordPress timeline theme. Responsive, retina ready, elegant & featured blog, post formats, custom styling, sticky navigation, translation ready, 650+ Google webfonts, 2 featured slider style and many more are the features of this WordPress timeline theme.